Motivational Outreach works with students from local middle and high schools to help them see college as an option, and show them how to think with a growth mindset. 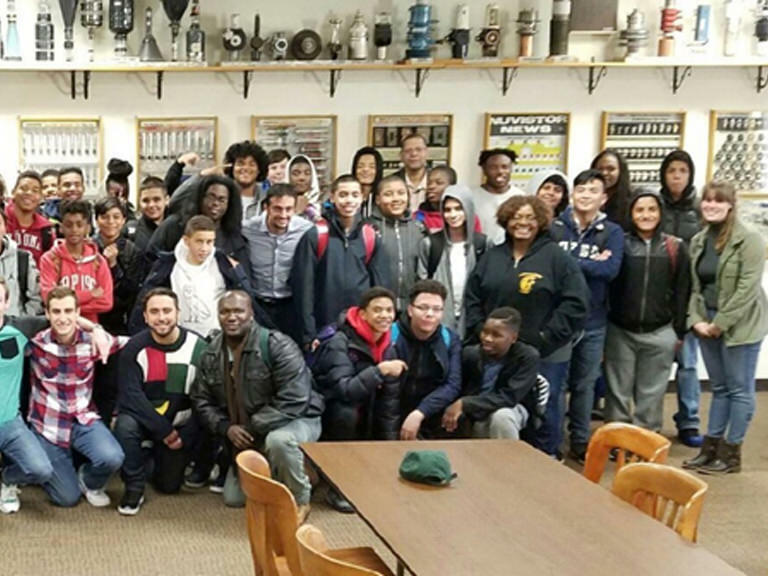 The club partners with organizations across the city such as the Bronx Engineering Technology Academy, Park East, Kingsbridge Heights Community Center, Renaissance Youth Center and Fordham Bedford. Visit our website http://motivationaloutreach.org to learn more. Motivational Outreach is open to all students. Sign up at the biannual activities and volunteer fair which happens at the start of each fall and spring semester, or contact the club directly at motivationaloutreach@manhattan.edu.